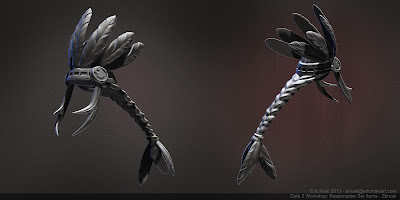 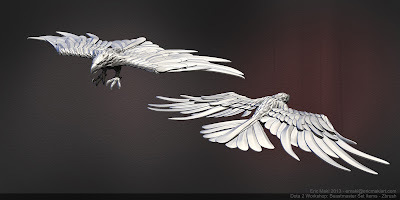 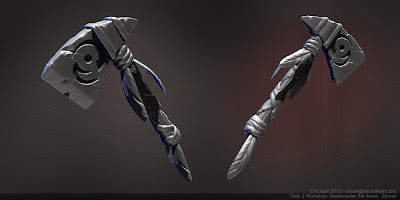 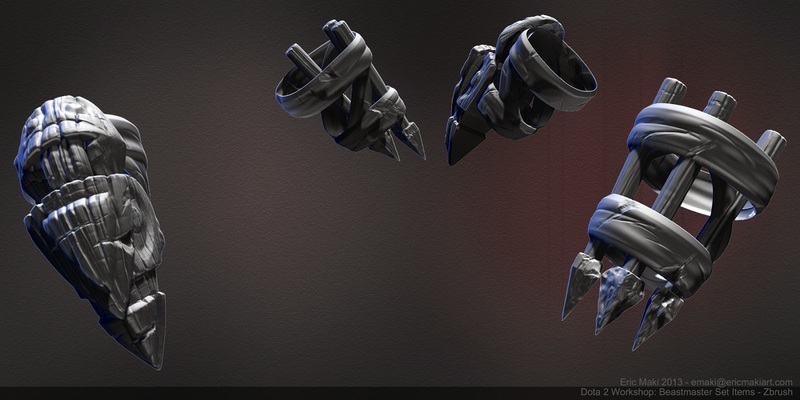 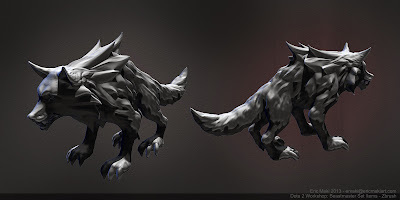 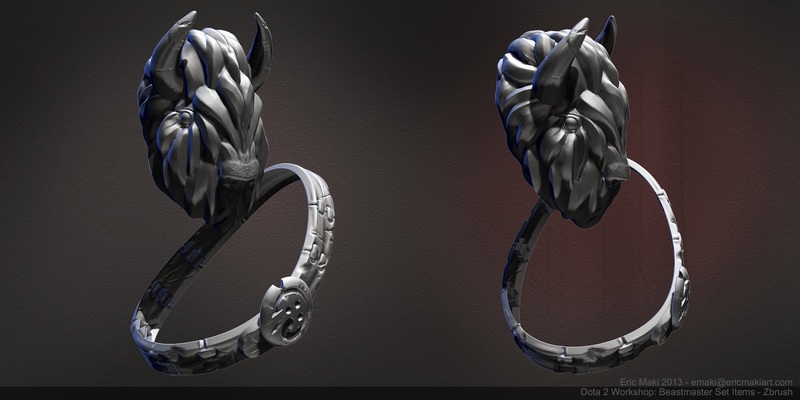 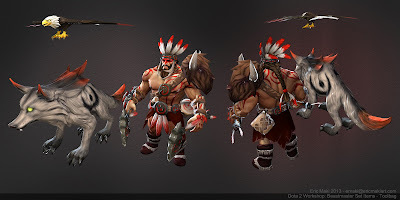 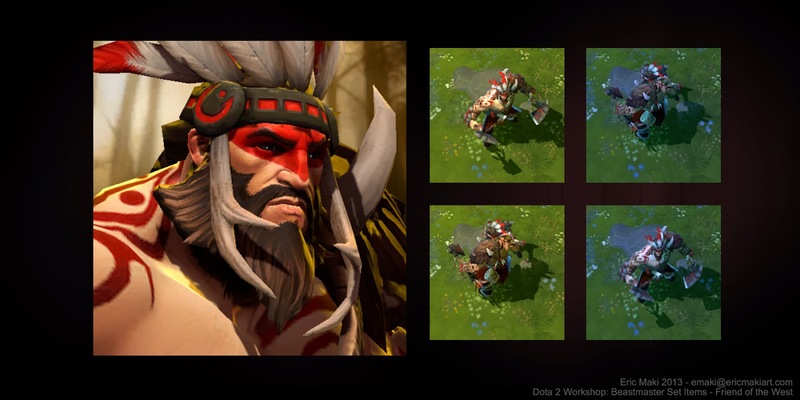 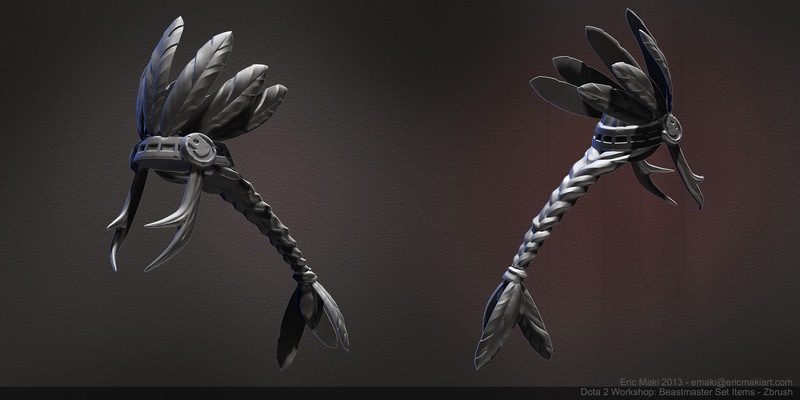 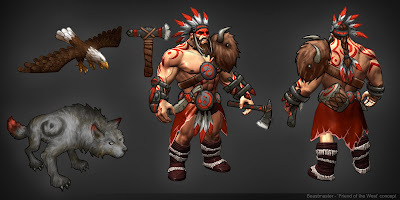 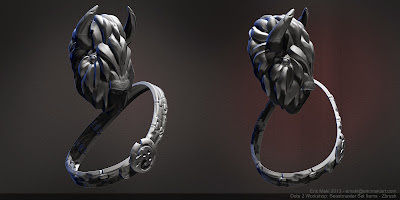 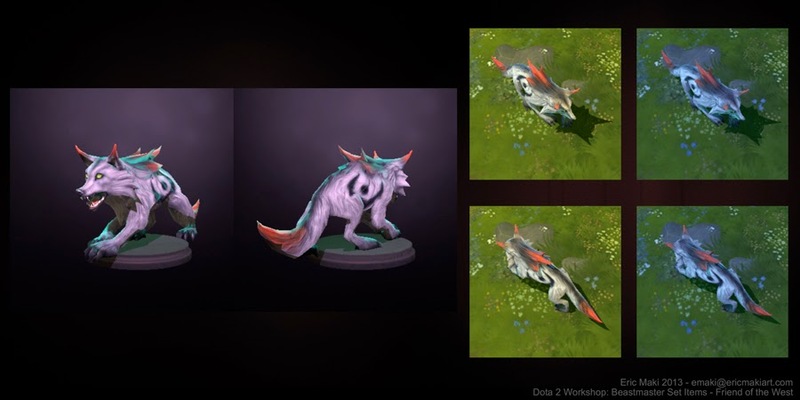 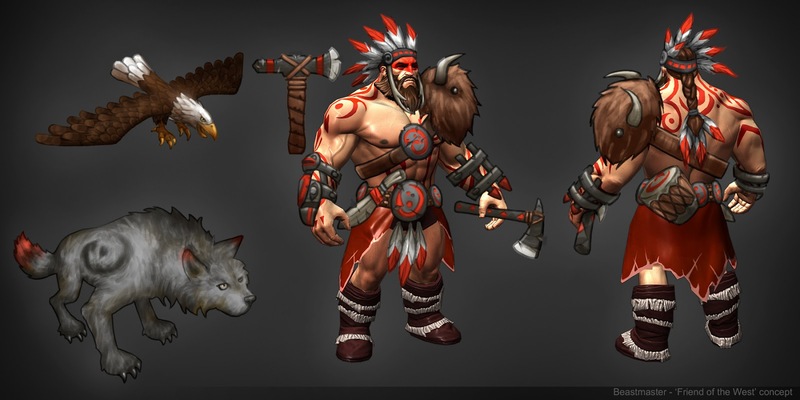 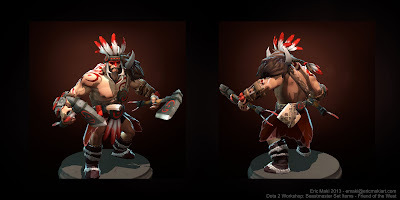 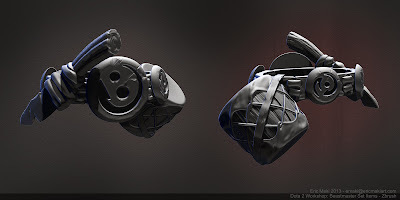 These are the assets as view-able within Dota 2. 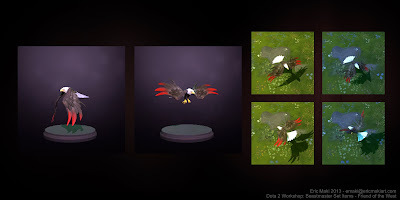 I'm still finalizing things on the eagle and wolf. 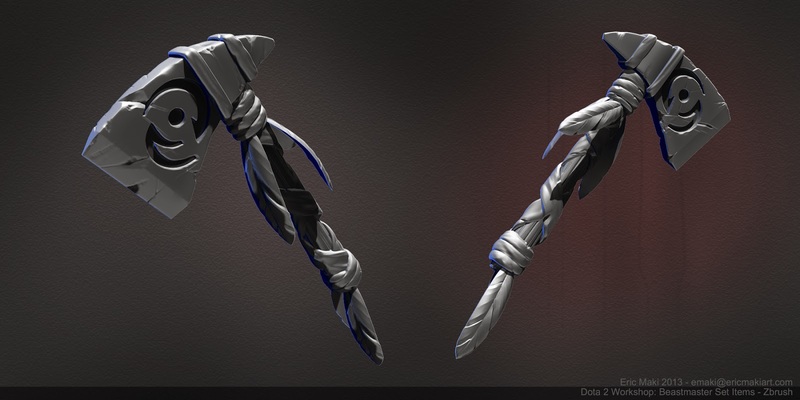 Some renders of the Zbrush tools I made the the 'Friend of the West' set. 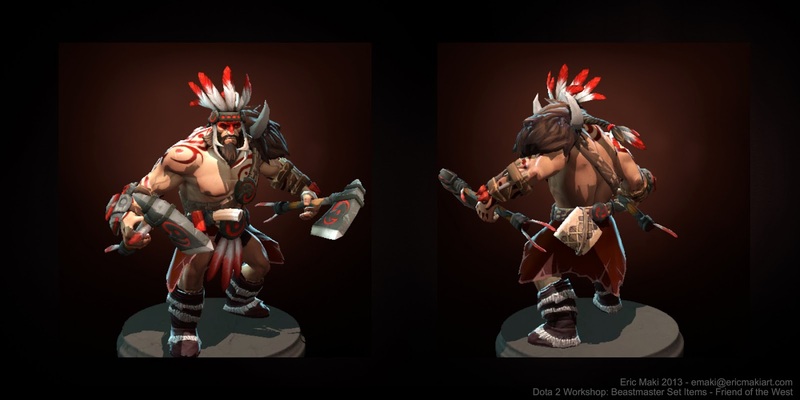 I compiled the finished game assets for the 'Friend of the West' Dota 2 set in Toolbag to check out color values and make sure I'm starting from a consistent place.